We processed a mosaic of space probe images of the lunar surface to remove brightness variations and data gaps, then rendered this view of the Moon as seen from the Earth. Feature labels, Equator and zero-longitude were added to complete this map for an amateur astronomers' handbook published by Dorling Kindersley. 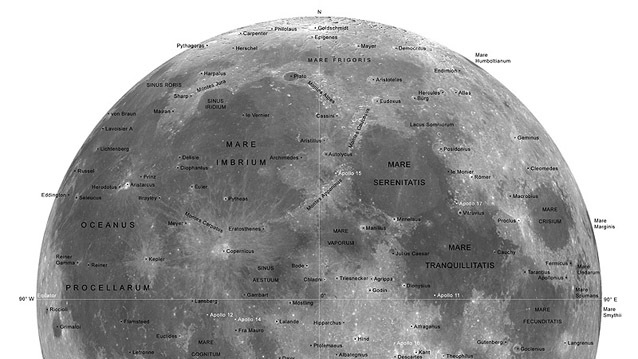 Source data: Clementine image mosaic, International Astronomical Union gazetteer.